Our Practice abides by the RACGP General practice patient charter (the Charter) reflects the commitment of GPs to providing a high standard of care. The The-RACGP-General-practice-patient-charter-flyer also suggests some ways you can be more involved in your healthcare and contribute to a quality health system. 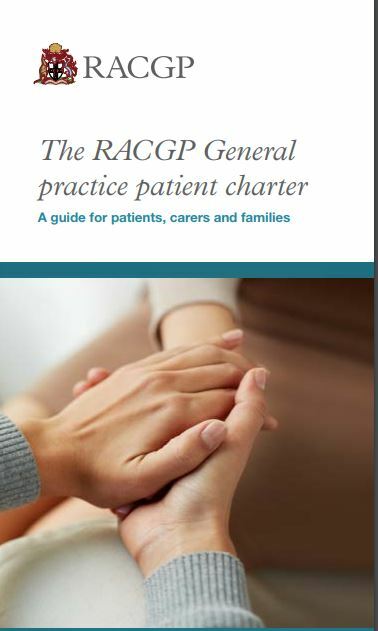 The RACGP General practice patient charter (the Charter) has been developed to highlight the mutual responsibility of the patient and the doctor. The Charter promotes the concept of ‘partners in care’, with patients and practices working together for mutual benefit. allow patients, families, carers and providers to share an understanding of the rights of people when receiving general practice services.